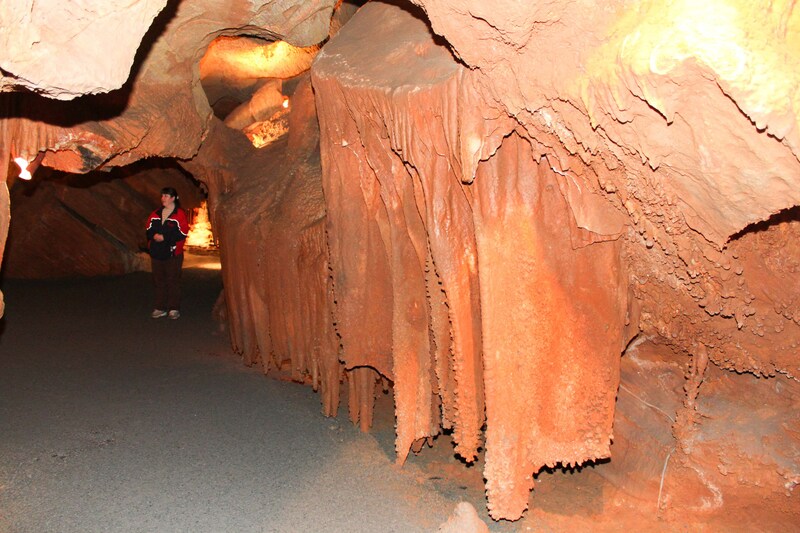 The tour takes about an hour, perhaps a bit longer; the tour guide estimated a total walk of about ¾ mile. 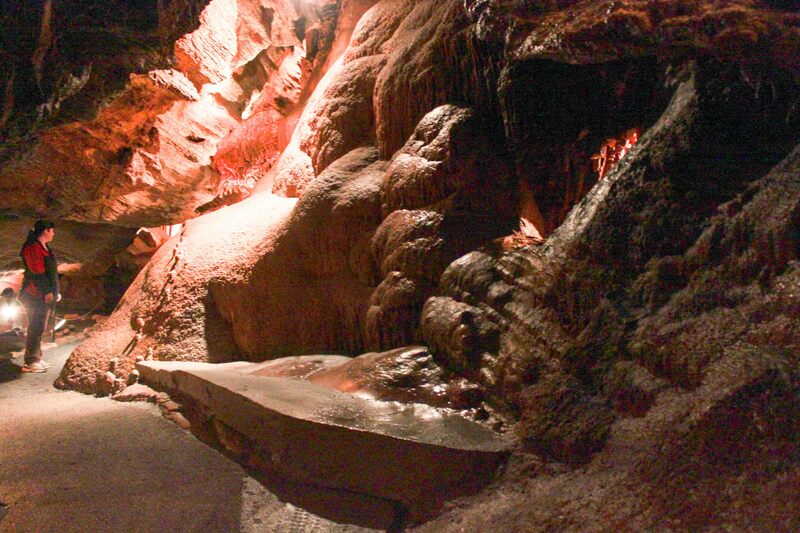 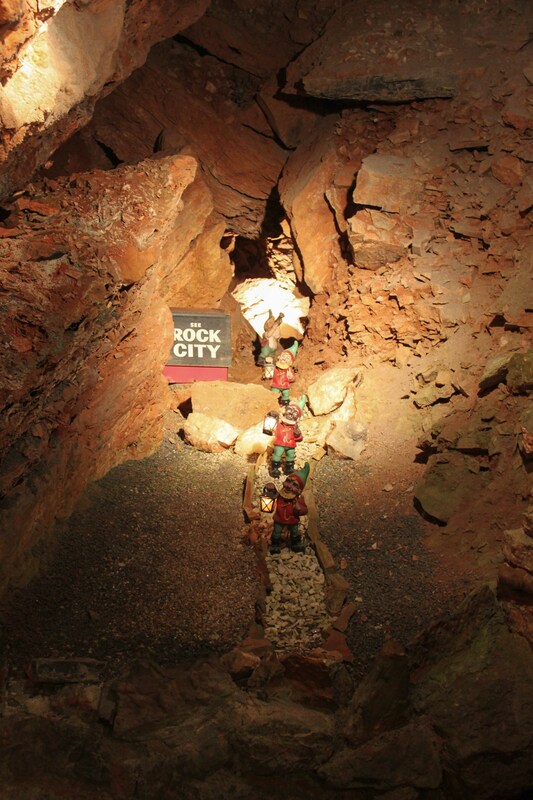 You ride an elevator down to the cavern 250 feet underground, then walk the rest of the tour on a smooth, fairly level path. 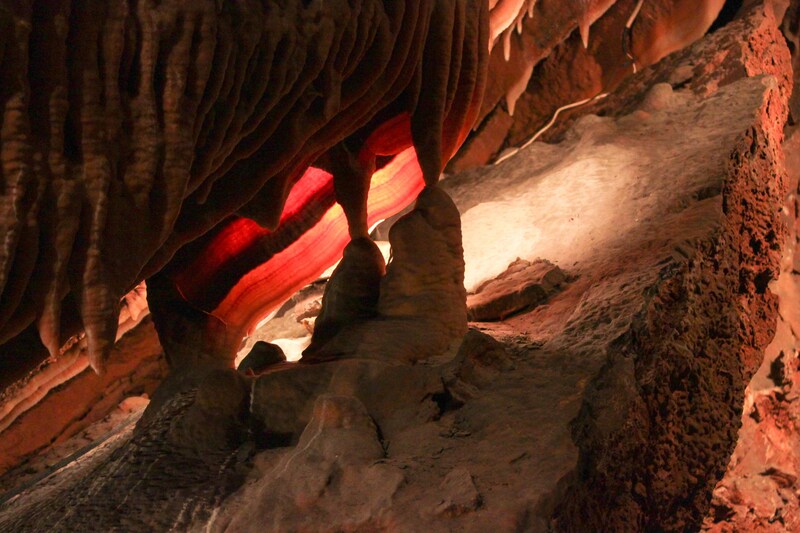 The lighting is excellent, and bright enough to take good photographs. 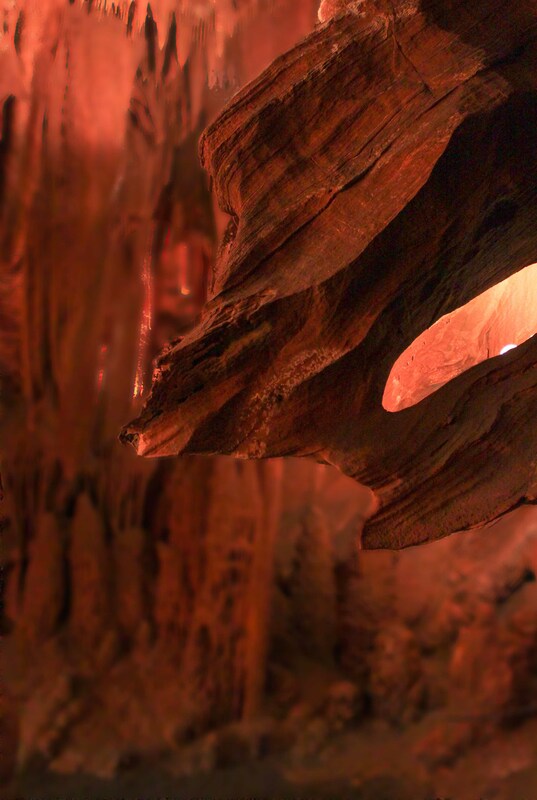 It’s difficult to tell whether to use flash or not; sometimes it’s better to turn off the lights and just use flash; sometimes ambient light works best. 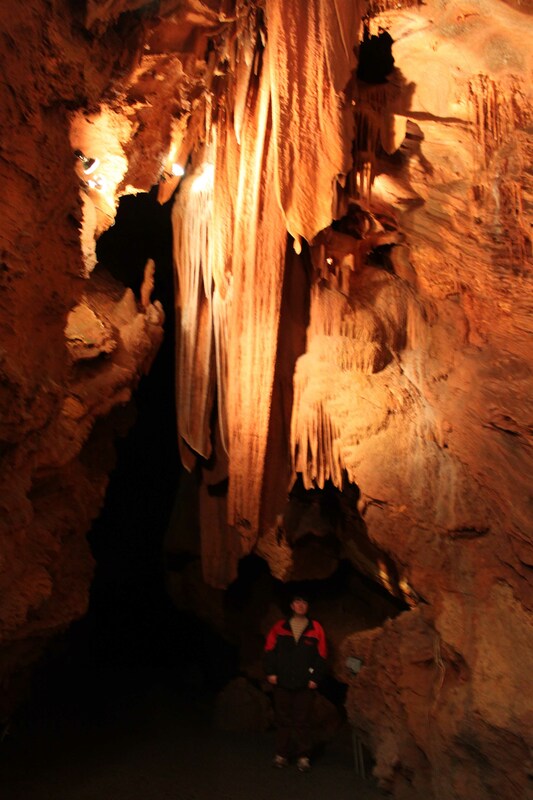 My tour guide was most helpful and cooperative as I tried to get the best lighting for photographs of the many formations. 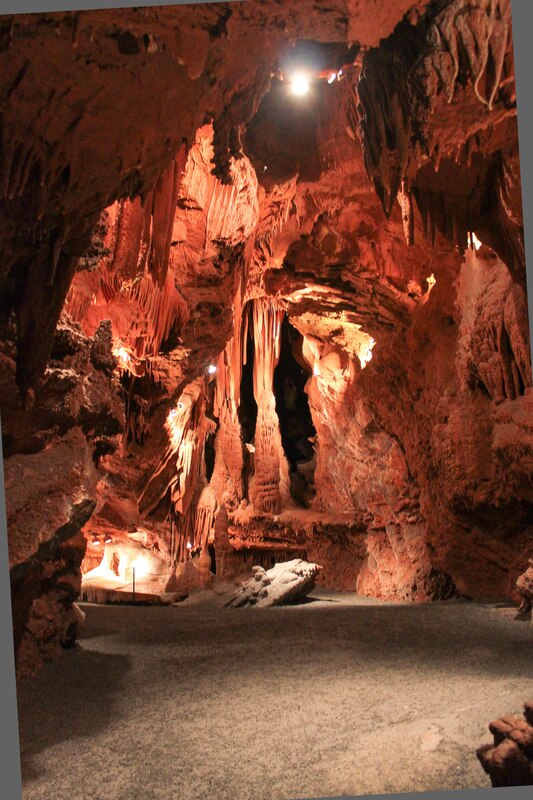 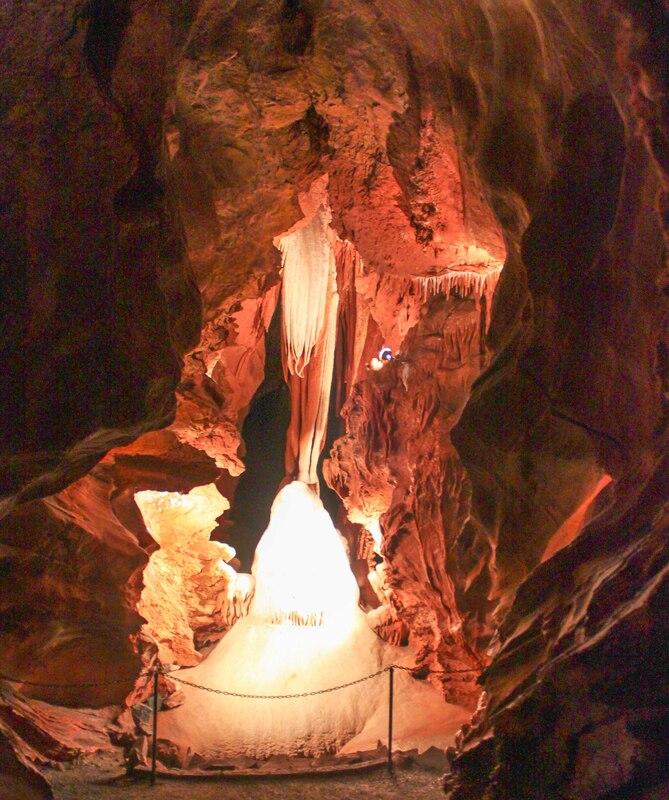 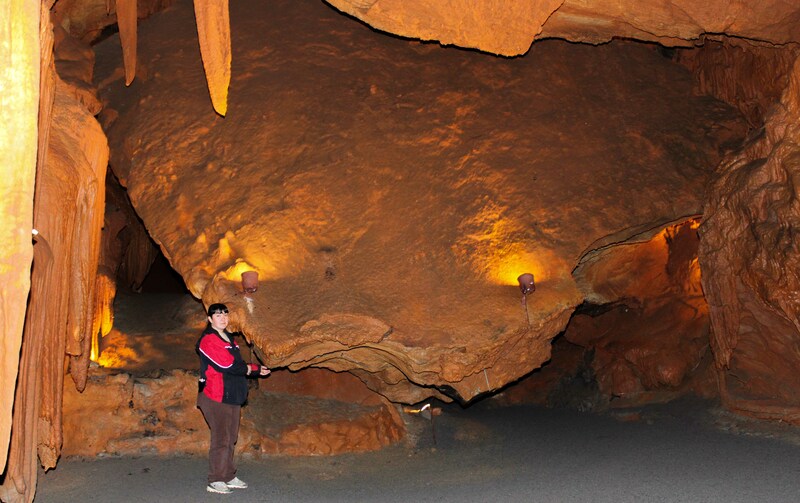 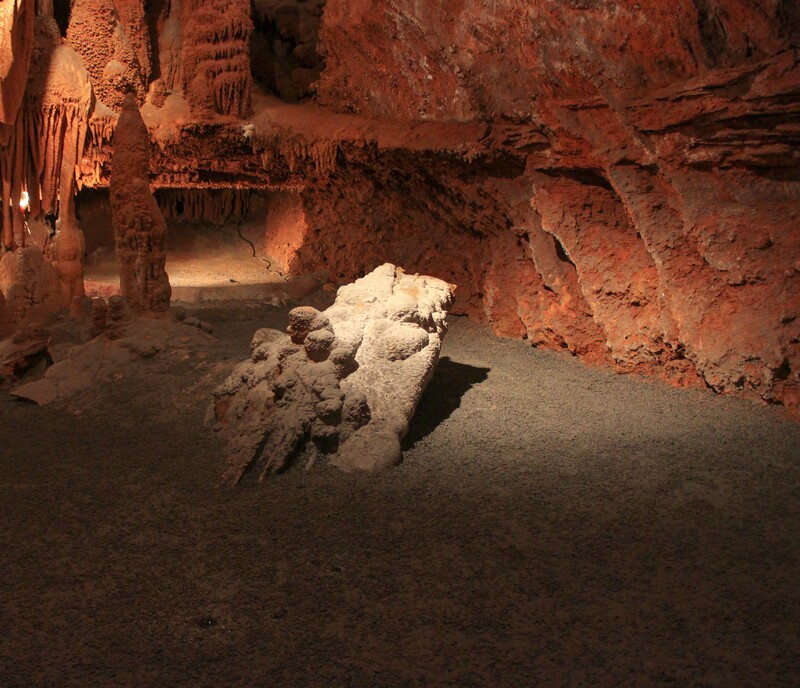 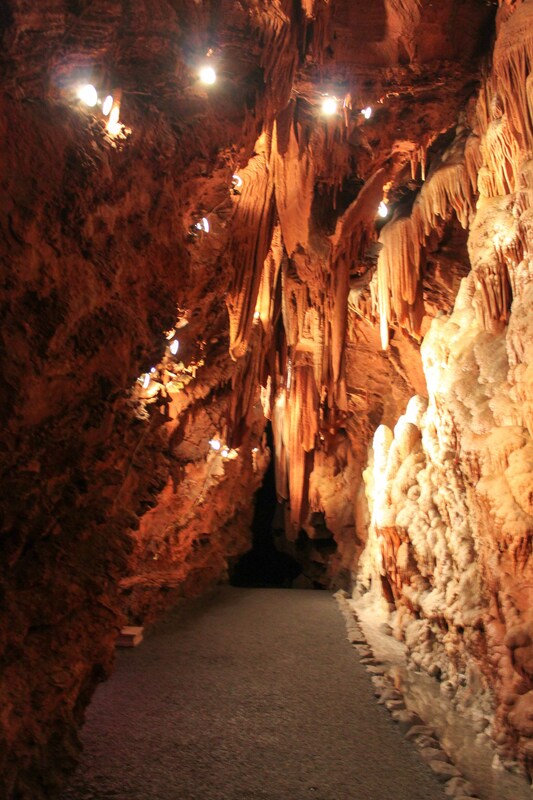 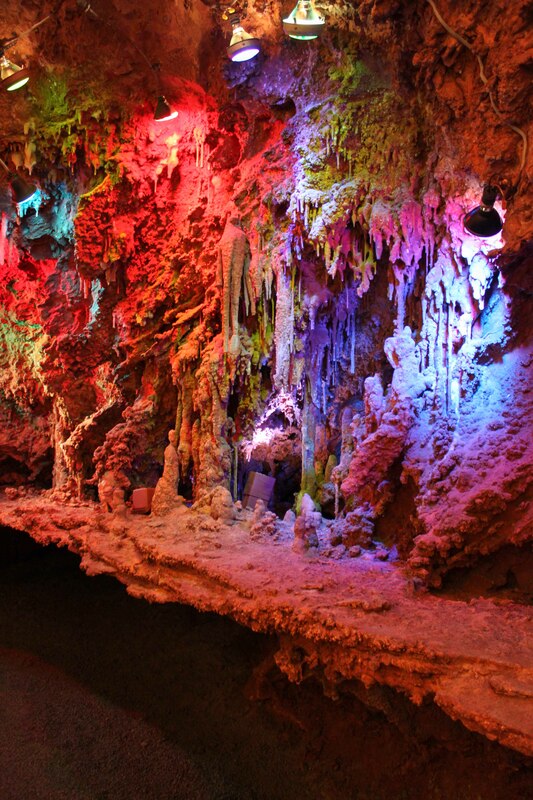 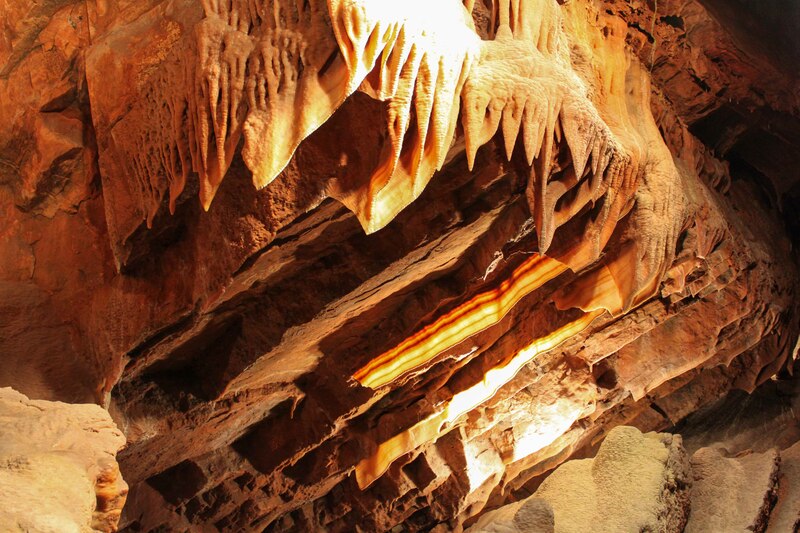 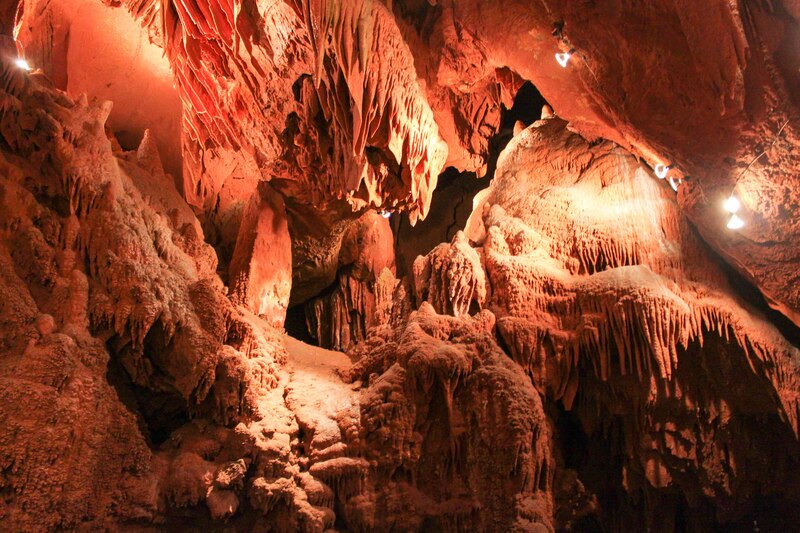 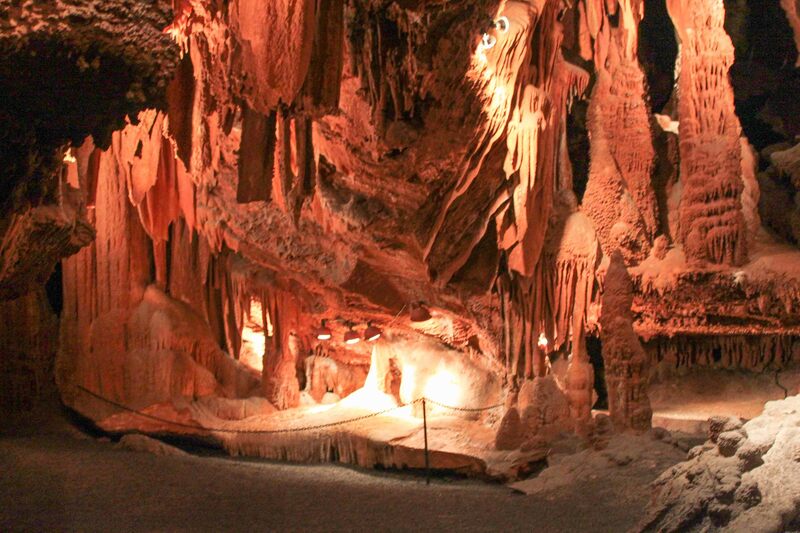 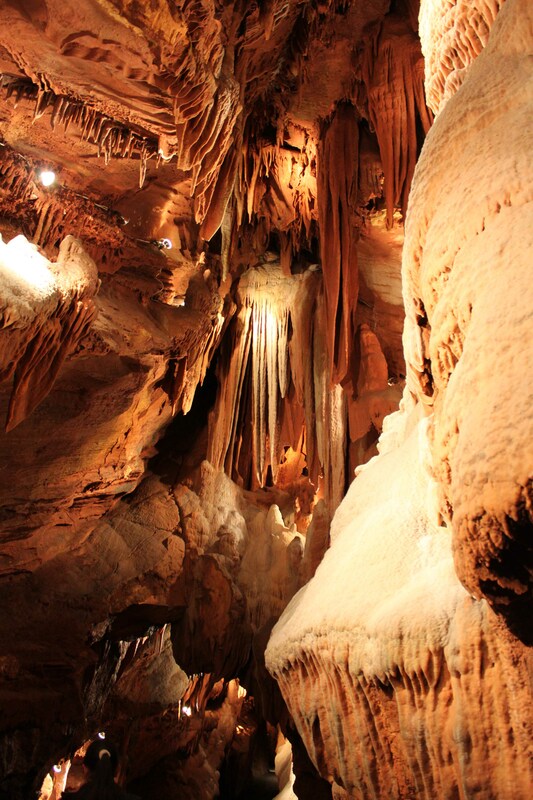 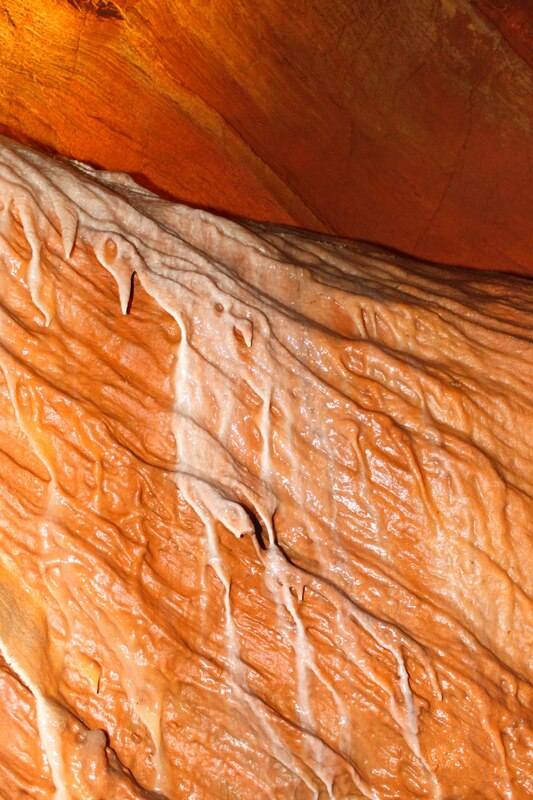 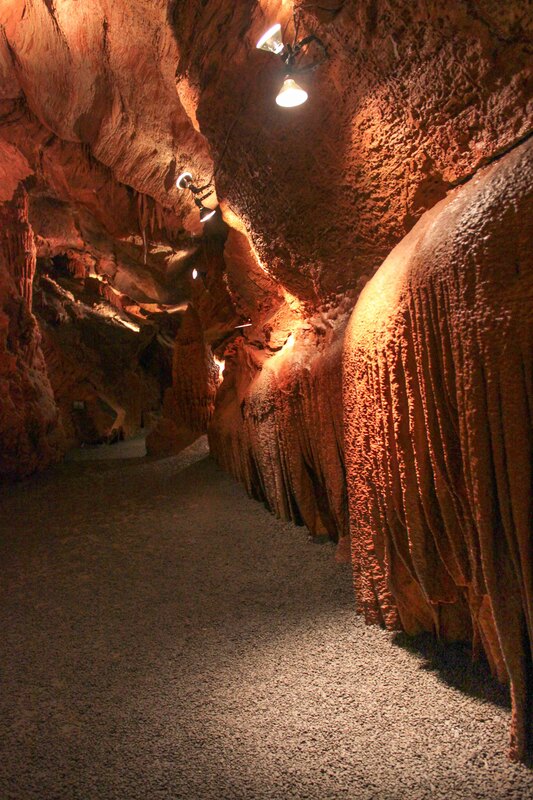 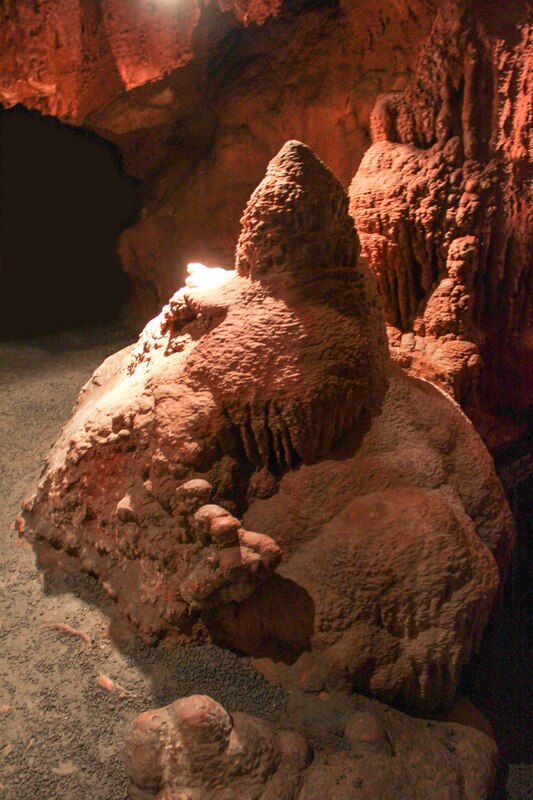 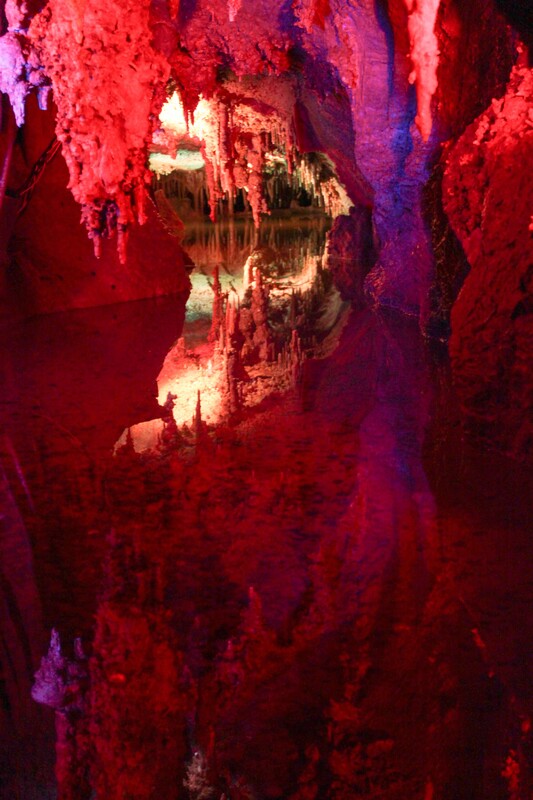 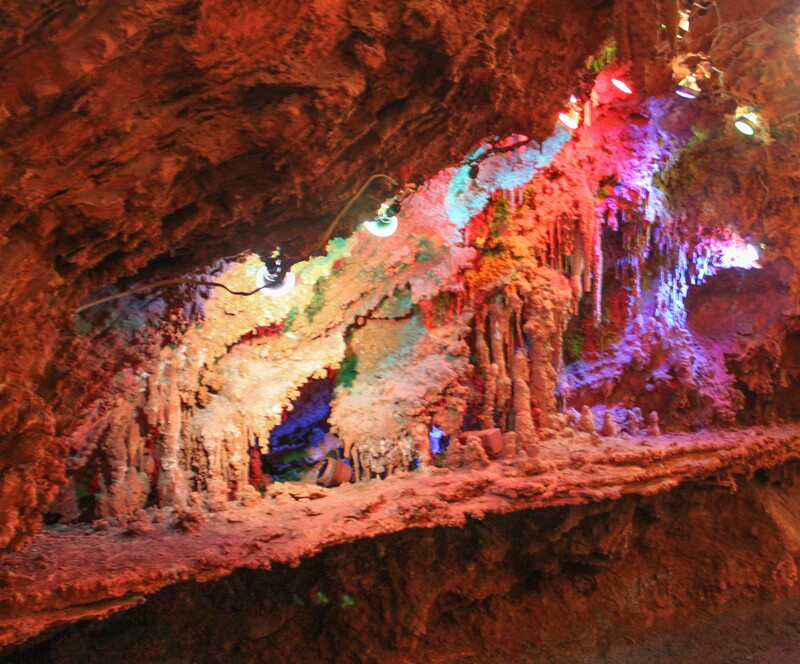 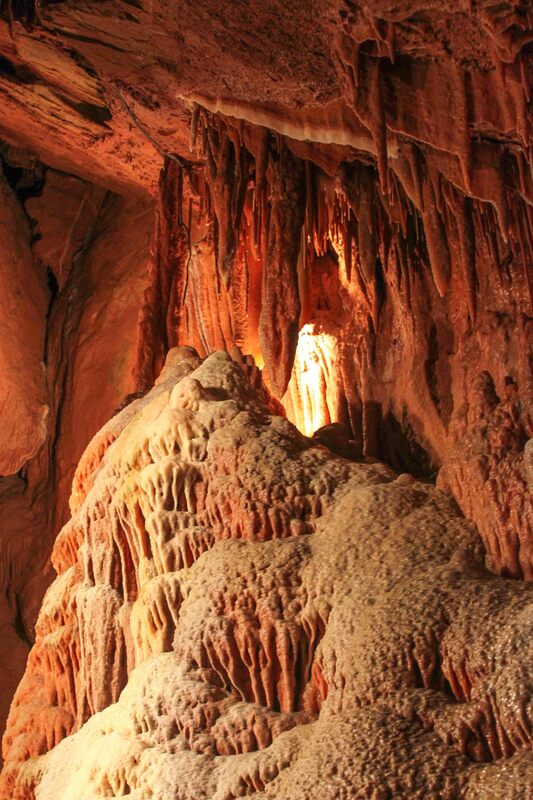 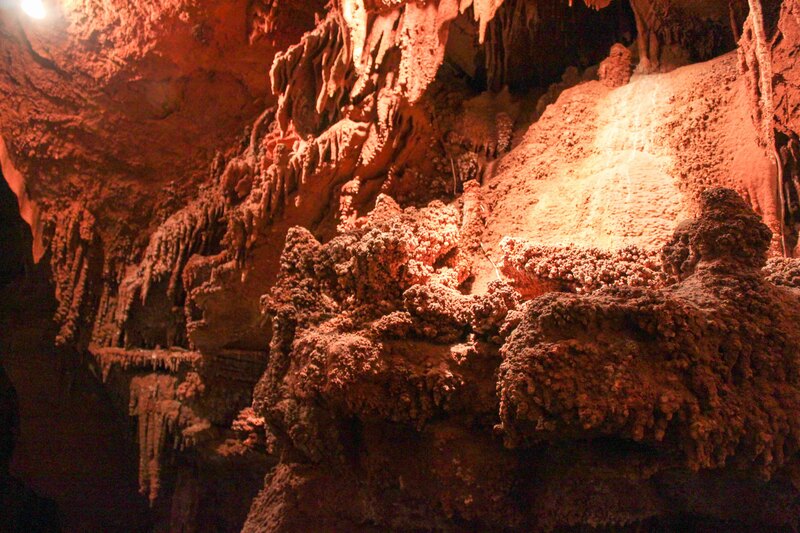 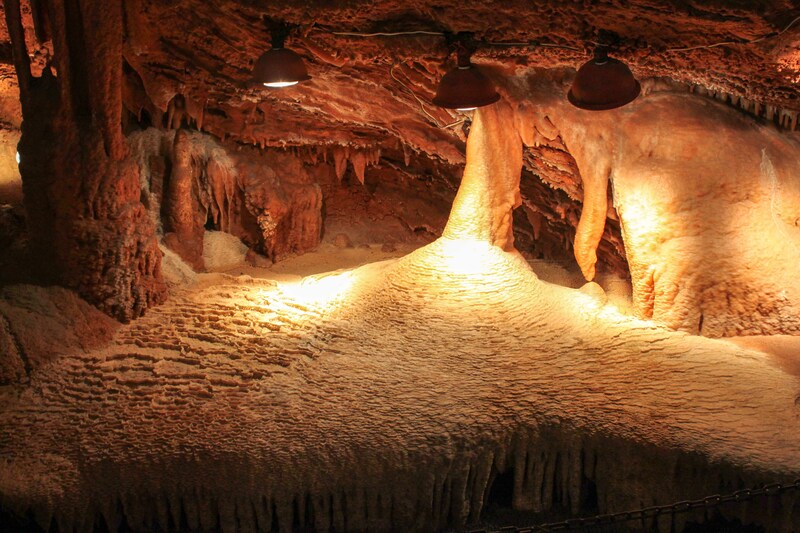 The caverns are famous for their “bacon strips” formations. 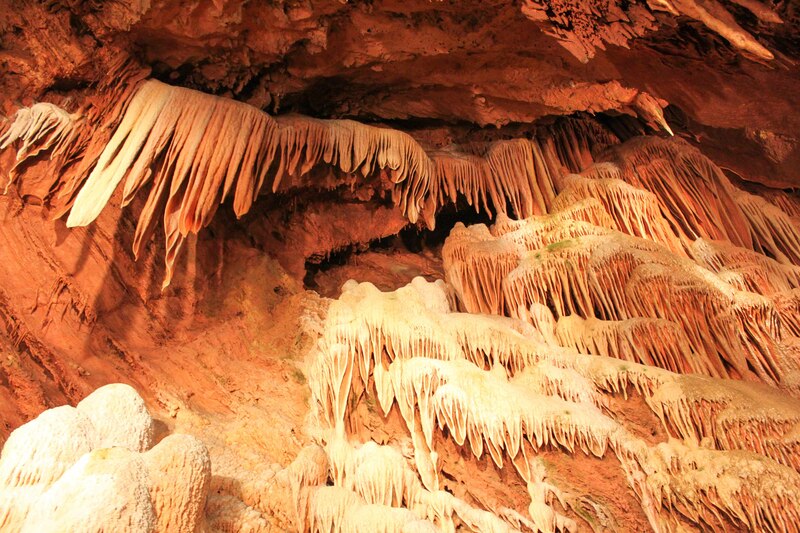 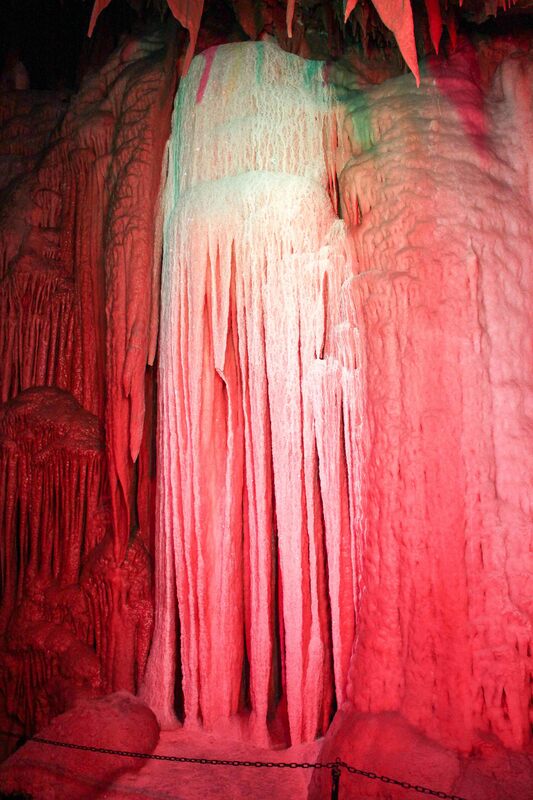 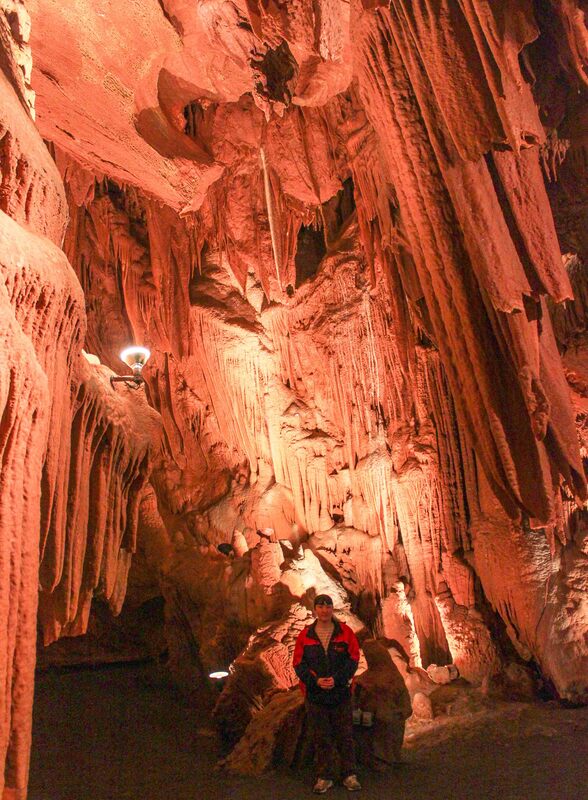 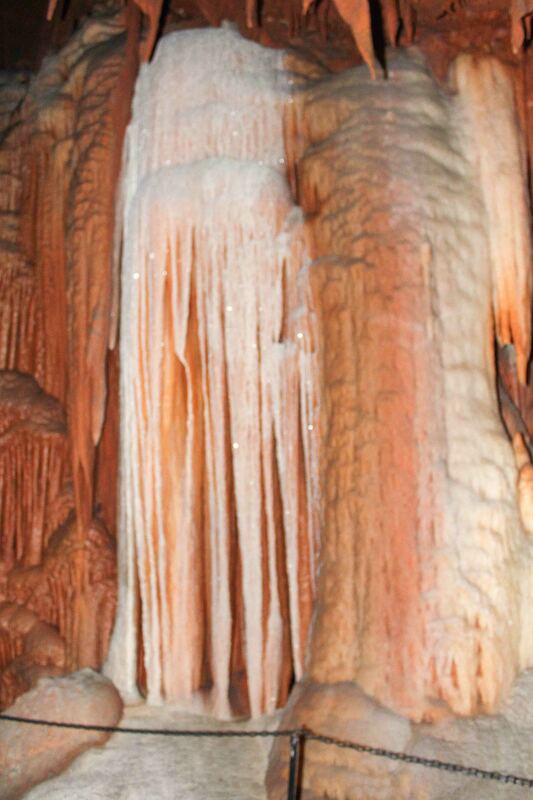 These are stalactites that look like strips of bacon.